My friend Kyle visited me in the mustard studio last week and we had fun creating together. He had an idea for a painting, so we jumped right in. Kyle sketched his basic idea and I helped by showing him where the supplies were kept. 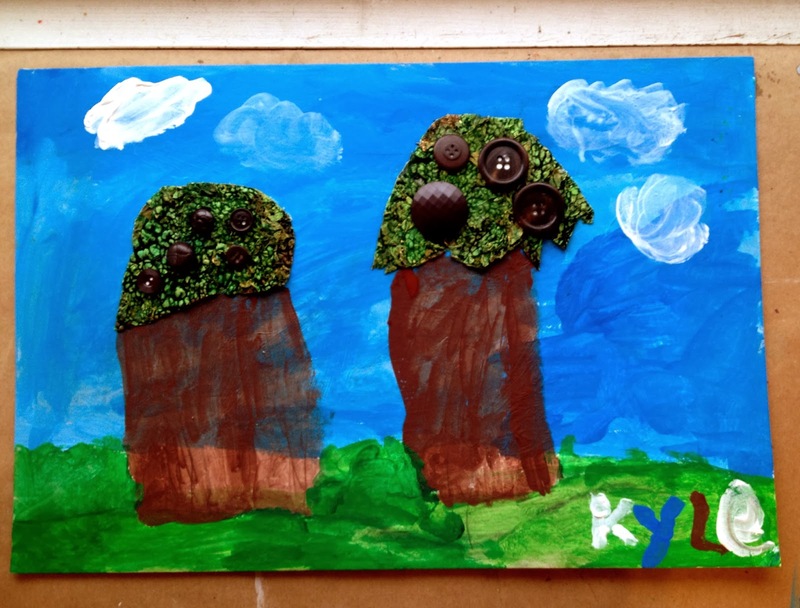 Kyle chose a recycled piece of cardboard for his canvas, several paints in shades of blue and green, as well as white and brown. He cut out the palm tree tops from some really cool ribbon my friend Mandy sent to me. 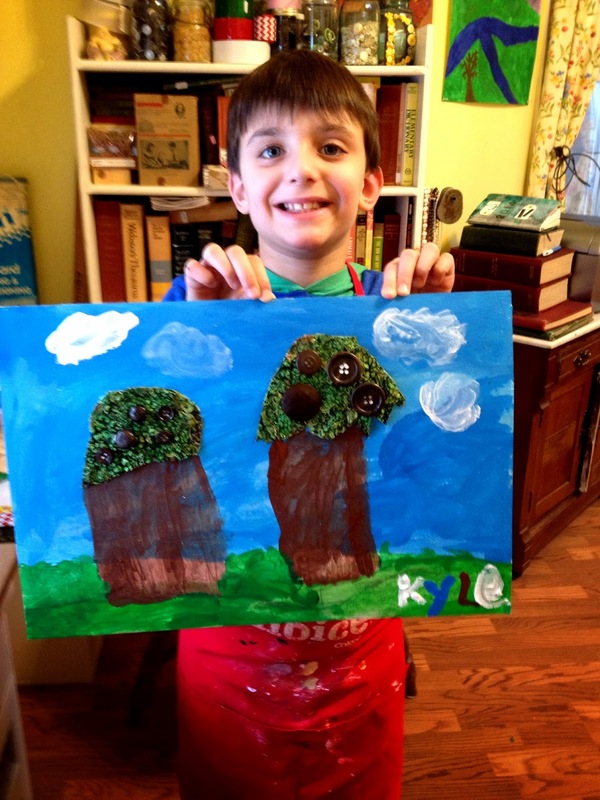 Kyle says he'd like to be an artist when he grows up, I think he's well on his way, don't you?! I look forward to sharing the studio with my talented young friend again. 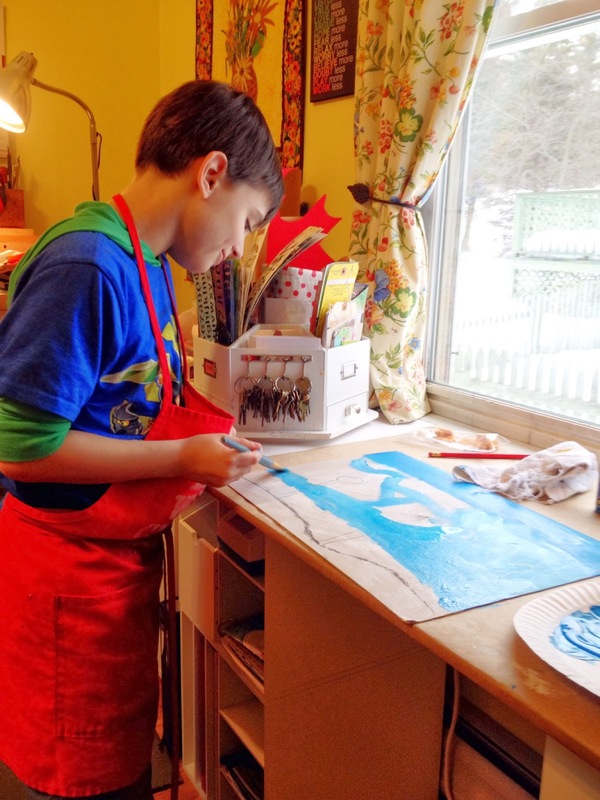 His enthusiasm and energy was contagious and I love encouraging young artists like Kyle. I love the way he signed his name and the title of his art. Thanks for being my very special guest Kyle, it was loads of fun working with Y-O-U! This is way cool, Queenie! 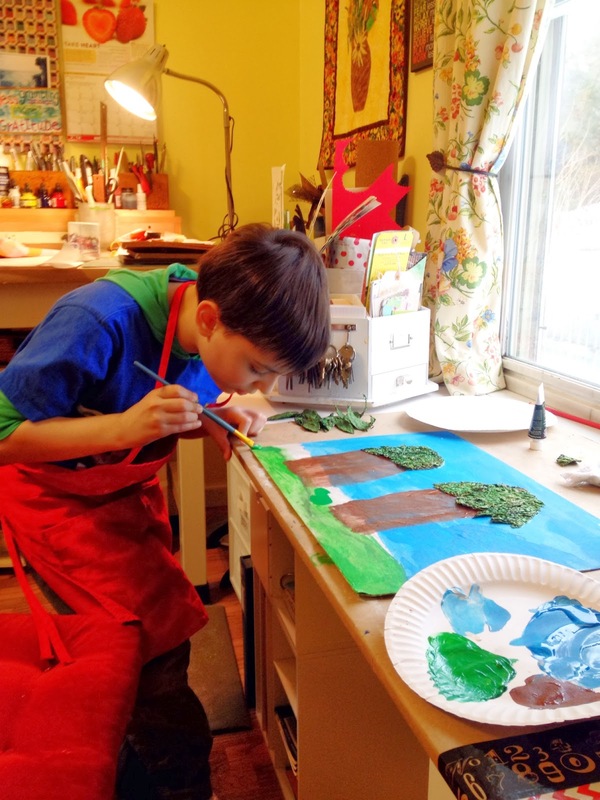 Aww hes so cute and talented :) My kids love crafting in my studio!